This bowl season guide is brought to you by My Bookie. Use code SDS to get 100% bonus on your deposits. Go bet on bowl season now! As the 2018 season comes to a close, that means it’s time for the SEC to flex its proverbial muscle during bowl season. 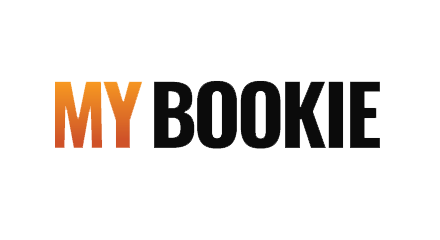 Eleven SEC teams clinched a bowl berth, and we’ve teamed up with our friends at MyBookie to bring you an early betting guide for each and every one. After all, nothing says “Happy Holidays” like pigskin, presents and parlays. Baylor ranks 109th in the country in yards per play (6.1 ypp). Vandy is 1-4 away from home, but they’re 4-1 against the spread. Vandy is 3-9 vs. the Over this season, and Baylor is averaging just 18.4 ppg in its past 5 games. Vandy has covered the spread in its past 5 games. Auburn is 1-4 in bowl games under Gus Malzahn, and the 1 win was in the Birmingham Bowl. Purdue is 3-0 vs ranked teams this season, winning by an average of 16 points. Auburn is 10-17-1 ATS in nonconference games under Gus Malzahn. Auburn and Purdue are a combined 2-7 vs. the Over this season. Virginia is 1-4 SU away from home this season; USC is 4-1 ATS away from home this season. UVA has the 14th-ranked pass defense in the country (180.1 ypg); Jake Bentley has thrown for 12 TDs and an average of 349.3 ypg over his past 3 games. USC is 4-1 ATS in its past 5 games; UVA is 1-3 ATS in its past 4 games. Mizzou is 3-1 SU and 3-1 ATS in its past 4 bowl games. Mizzou is 4-0 in its past 4 games; OK State is 1-3 in its past 4 games. Mizzou has won its past 4 games by an average of 24.3 ppg. N.C. State has the 6th-ranked passing offense in the country (327.7 ypg); A&M has the 108th-ranked pass defense (262.7 ypg). Jimbo Fisher is 5-3 vs. N.C. State as a head coach. N.C. State is 1-3 overall in its past 4 games vs. SEC. Miss St. is just 2-9 vs. the Over this season. Both defenses rank in the Top 10 nationally in total yards, rushing yards and yards per play. Miss St. is 4-1 ATS in its past 5 games; Iowa is just 1-4 ATS in its past 5 games. Iowa leads the nation with 18 INTs. Kentucky has beaten 3 teams currently ranked in the Top 25; Penn St has beaten 1. UK is 4-14 ATS vs. nonconference teams in the past 4 seasons. UK is 0-2 in bowl games under Mark Stoops. UCF ranks 3rd nationally in turnover margin; LSU ranks 7th. UCF ranks 118th nationally in rush defense, giving up 227.4 ypg. LSU’s strength of schedule ranks No. 1 nationally; UCF’s ranks 83rd. These teams have met 4 times. Michigan is 4-0 SU, 4-0 ATS, and the 4-0 vs. the over. Florida is 8-4 ATS this season. Florida scored an average of 34.5 ppg this season, but only 15.3 vs. Top 20 scoring defenses. Michigan is ranked 12th in the NCAA in scoring D at 17.6 ppg. Texas is 1-5 ATS on the road this season. UGA ranks in the Top 15 in offensive and defensive efficiency. UGA is 4-1 SU and 5-0 ATS in its past 5 bowl games. These offenses rank 1st and 2nd nationally in scoring. Oklahoma is 3-1 all-time vs. Alabama and 4-1 in its past 5 games vs. the SEC. Both teams are a combined 19-6-1 vs. the over this season; the O/U for the Orange Bowl is 79.5. OU’s defense is giving up an average of 43.2 ppg in its past 5 games; Alabama has given up over 30+ points just once in the past 2 seasons. OU hasn’t been a 2 TD underdog since the 2014 Sugar Bowl, where they beat Alabama 45-31. 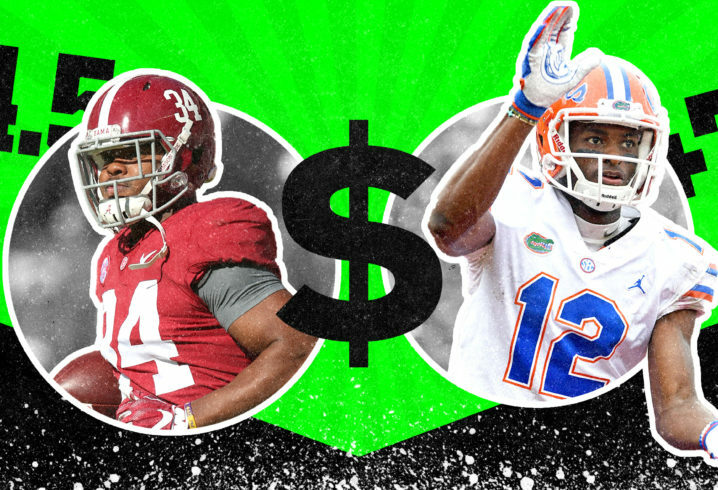 You can bet college football games every week this season at My Bookie. Use promo code SDS to get 100% match on your deposit. Click here to get started. Chris Marler is a writer and comedian from Atlanta, GA. He's also a lifelong Alabama fan which is just one of his many flaws. The former 5-star recruit will be a hot commodity on the transfer market.